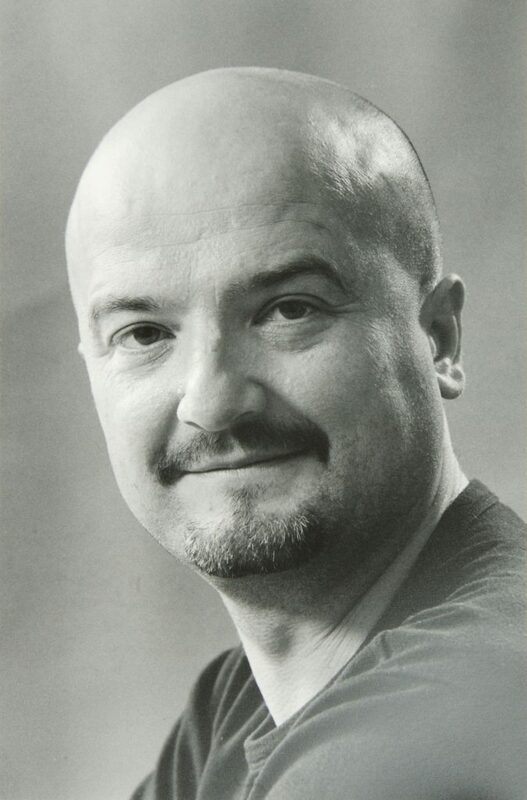 Children’s author Primož Suhodolčan was born in 1959 in Črna na Koroškem. He attended primary school in Prevalje and gymnasium in Ravne na Koroškem, wrapping up his education at the Faculty of Social Sciences in Ljubljana. Suhodolčan’s cherished writing style can best be described as action-comedy entwined with a sizeable helping of wit and imagination. His books are among the most widely read and borrowed in Slovenia. Best known are the series Peter Nos (Peter Nose), the series Pozor, pravljice! (Watch out! Fairytales! ), Živalske novice I,II,III (Animal News I, II, III; 1998, 2001, 2009), and a trilogy about a teenage boy named Sprout: Košarkar naj bo! (Basketball It Is!, 1994), Kolesar naj bo! (Bicycle It Is!, 1997) and Ranta vrača udarec! (Sprout Strikes Back!, 2000). Primož Suhodolčan has been a member of Slovenian Writer’s Association since 1998.